Why Can Sediment Be Bad for a Stream? Erosion and sedimentation are natural processes that occur with stream flow. 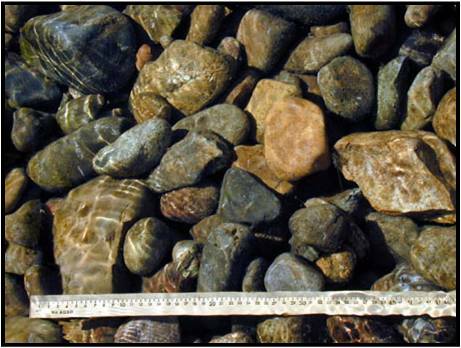 Gravel and cobble-sized sediments are very important as habitat for stream-bottom macroinvertebrates, such as the larvae of caddisflies and stoneflies, and as spawning habitat for fish. But too much sediment can cause problems. For example, sand and finer grained sediment, including silts and clays, can degrade gravel and cobble habitats. 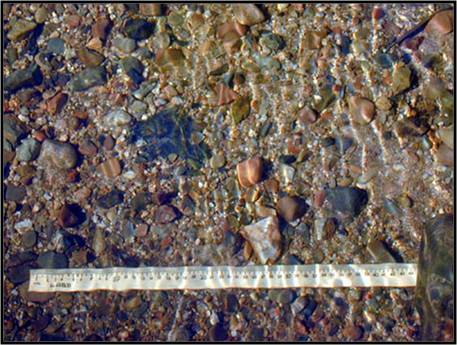 The effect of too much fine sediment on a stream can be illustrated by the following pictures. This first picture shows cobble-sized sediments. Light and air can filter through to the streambed allowing macroinvertebrates and other aquatic life to thrive. This second picture shows a streambed that has literally been smothered by fine sediment. 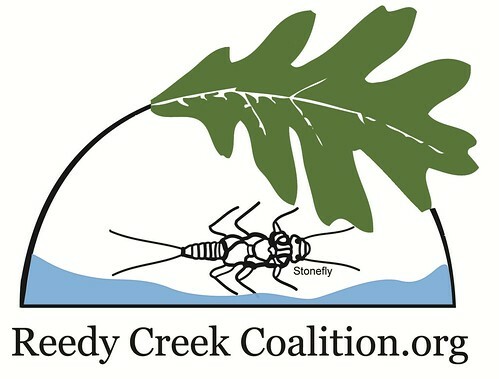 Light and air cannot filter through to the streambed and macroinvertebrates and other aquatic wildlife such as small fishes cannot utilize the small spaces between sediment particles. The source of this fine sediment can be runoff from roofs and lawns, as well as development, in urban areas. When such runoff reaches storm drains, it is discharged directly into our waterways. Sometimes particles carried in urban runoff can be too fine to settle to the bottom. Because of their small size, such particles often float throughout the water and can be carried all the way to the Chesapeake Bay. Once in the Bay, cloudy water does not allow sunlight to filter through to grasses growing on the bottom. Bay grasses need sunlight to grow; without it, these grasses die. This is turn affects the young fish and blue crabs that depend on bay grasses for shelter. Excess sediment suspended in the water is one of the leading causes of the Chesapeake Bay’s poor health. Reduce the amount of stormwater that leaves your property. Plant native trees and shrubs, especially where erosion is a problem. 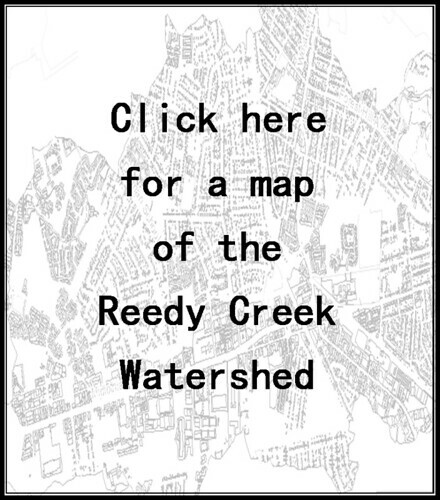 Sign up for a free watershed protection audit. 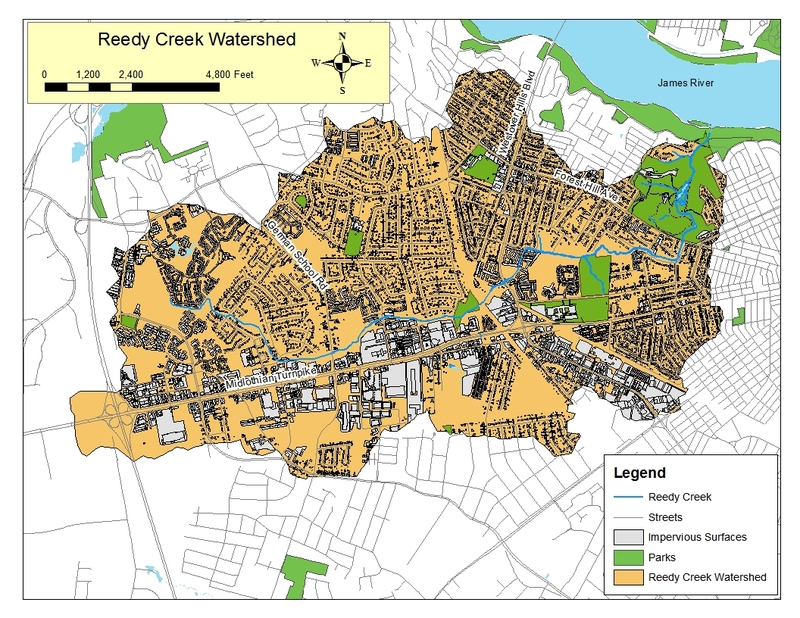 We can help you find ways to reduce your watershed footprint. We will also be glad to talk to you about our Financial Incentive Program.